OS X 10.11 El Capitan Beta 7 for developers is now available to download. The new developer beta build arrives exactly two weeks after the sixth beta was seeded. Yesterday, Apple made OS X El Capitan Public Beta 5 available to those enrolled in the company’s Beta Software Program, but for reasons unknown, the Cupertino giant opted to pull the update altogether. But today, apart from the developer oriented beta, Apple has seeded the fifth Public Beta to end users as well, again. Grabbing both the updates is fairly simple. Launch the Mac App Store, click on the ‘Updates’ tab up top. Wait for the page to load up and after a few seconds the update will be presented to you for download. Simply click on the ‘Update’ button on the right to initiate the download. And like any other major software release, users will be required to restart their Mac to complete the installation process. We highly recommend that users go ahead and update their machines right away as new pre-release builds tend to bring with them a lot of bug fixes and performance enhancements. Since this is a new beta from Apple, there’s a high chance that the company might have slipped in a few surprises for us to find. But on the face of things, it seems as though that the changes all lie under the hood. But still, we will definitely keep a lookout for changes and update this post as soon as we find something noteworthy. 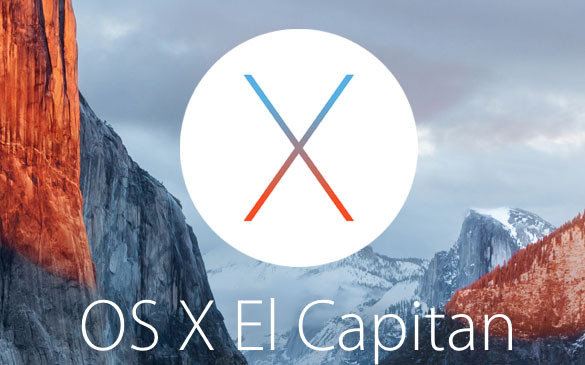 The final build of OS X 10.11 El Capitan will be rolled out later this year, or more precisely, this fall. The update will be absolutely free for all Mac users, and as always, it will be available as an over-the-air update right from the Mac App Store. When the El Capitan update goes live later this year, we will definitely do in-depth guides on how to install the OS properly on a clean and separate partition, and on a separate partition as well. Till then, keep yourself up to date and don’t miss a beta release from Apple so that things keep on ticking along as smoothly as possible. The Public Beta of OS X 10.11 El Capitan is available to everyone to download and test out, and if you haven’t taken Apple’s next-gen desktop OS for a spin, then be sure to check out: Install OS X 10.11 El Capitan Public Beta – How To.